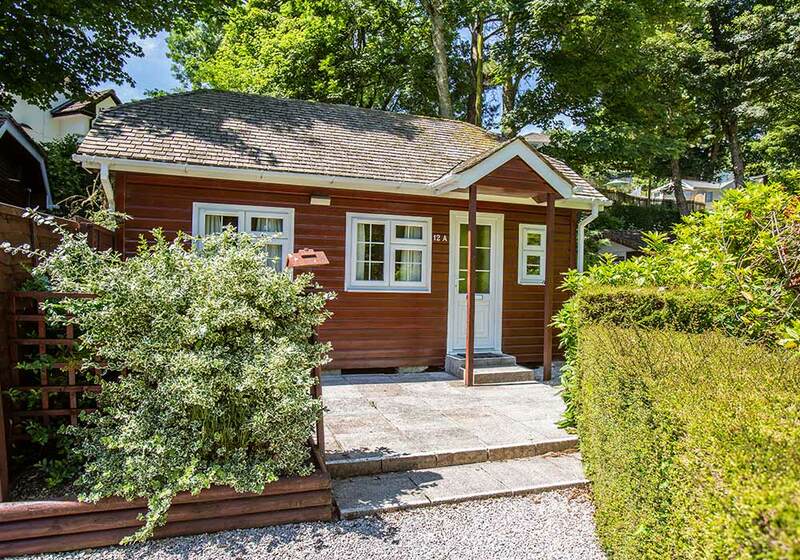 Our range of detached lodges offer character accommodation in the range of sizes and prices. 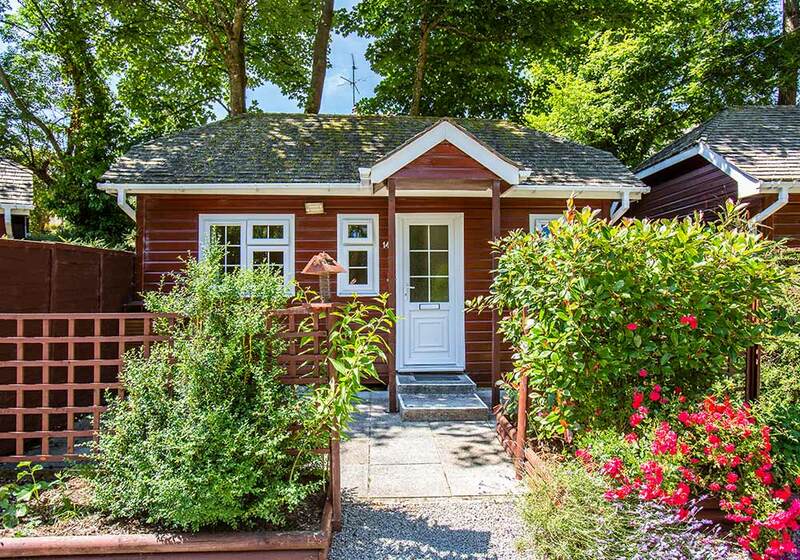 Our smaller lodges offer individual character with a variety of different layouts. Some are set on the slopes with a path or steps to reach them. This adds to their charm and seclusion but of course may not be suitable for everyone. 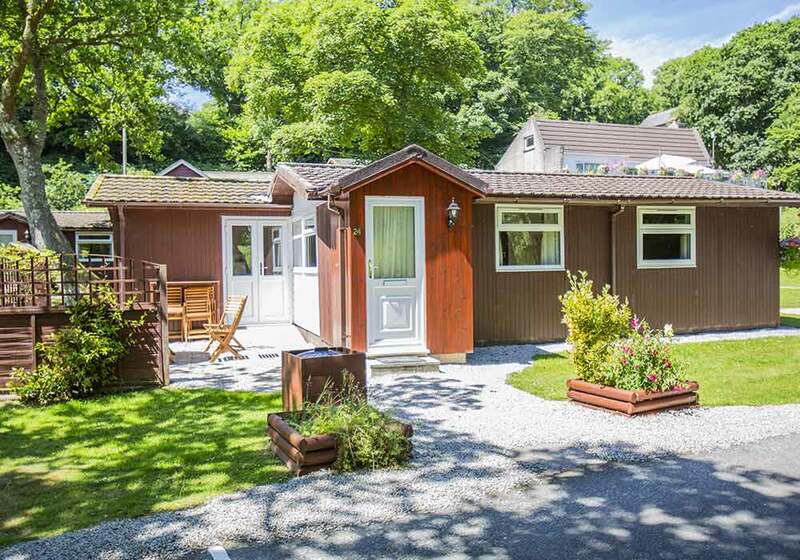 Many families and older people return again and again to our excellent Type E lodges which are positioned on level lawns offering easy access to the playing field and dog walk. Those who require even more space will enjoy the Type F lodges, with their large covered verandas and positioned near the stream to give the best aspect and privacy. 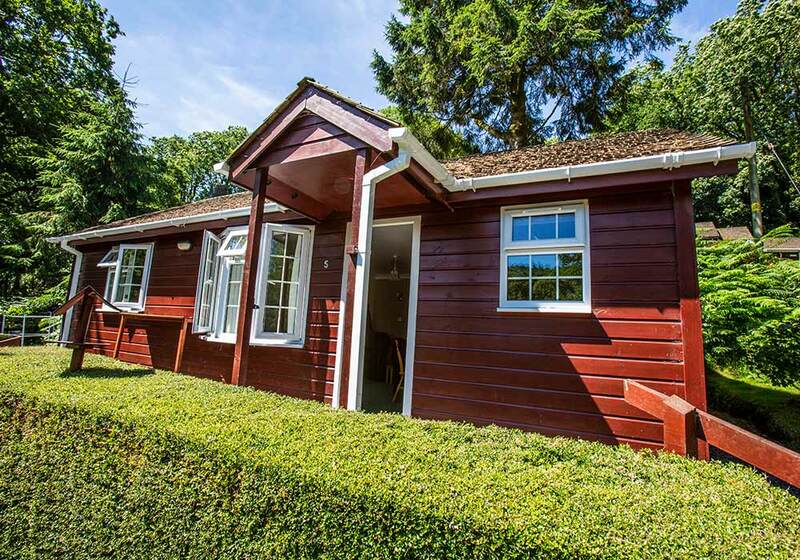 The spacious Type G lodges are also on the level by the stream and enjoy the addition of the third bedroom having an en-suite with toilet and shower and a dishwasher in the kitchen. All lodges have outside furniture to allow you to enjoy the fine weather. Dogs are welcomed in certain lodges providing they are kept on leads in the park and exercised in the designated walking area. Sleeping a maximum 2 persons with one double bedroom, fitted kitchen and bathroom. Heating in all rooms including bathroom and double glazed throughout. Outside patio area with furniture and low wall with flower bed. Compact accommodation with easy access and car parking in front. Dogs are not allowed into any of the ‘Type A’ lodges. Electricity is metered and payable during your stay. Sleeping a maximum 2 persons with one double bedroom lounge/dining area, fitted kitchen and bathroom. Heating in all rooms including bathroom and double glazed throughout. Some of these lodges enjoy views across the valley as they are situated on the hillside and may not be suitable for all guests due to the number of steps. Sleeping a maximum 4 persons with one double bedroom, one bedroom with bunk beds, lounge/dining area, fitted kitchen and bathroom. Heating in all rooms including bathroom and double glazed throughout. Outside furniture on patio or decking area. Sleeping a maximum 4 persons with one double bedroom, one bedroom with two single beds, lounge/dining, fitted kitchen and bathroom. Heating in all rooms including bathroom and double glazed throughout. 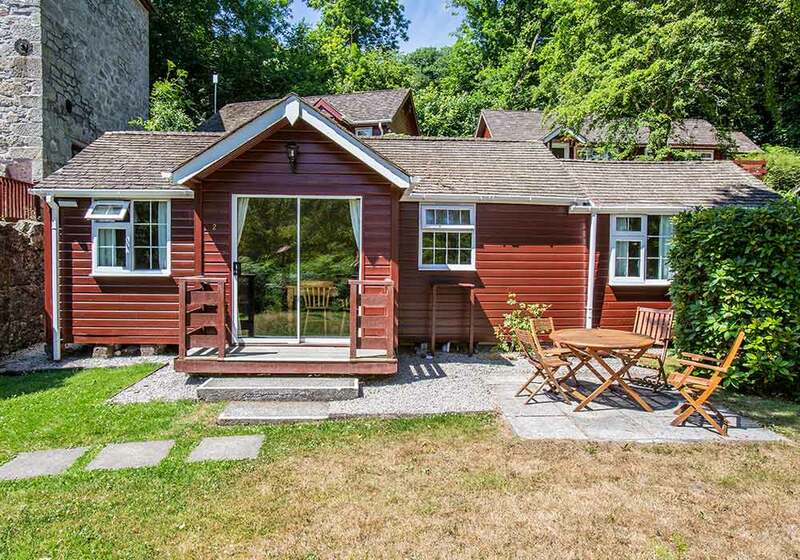 Some of these lodges enjoy views across the valley as they are situated on the hillside and may not be suitable for all guests due to the number of steps. Please discuss your requirements when booking. Sleeping a maximum 6 persons with one double bedroom with en-suite toilet & wash basin, one bedroom with 2 single beds and third bedroom with 2 single beds. Lounge/dining area, open plan fitted kitchen and bathroom. Heating in all rooms including bathroom. Double glazing throughout. All of these lodges are situated on level ground with parking close by. Sleeping a maximum 6 persons with one double bedroom, one bedroom with 2 single beds and a double bed settee in the lounge. Large lounge/dining area, open plan fitted kitchen and a bathroom. 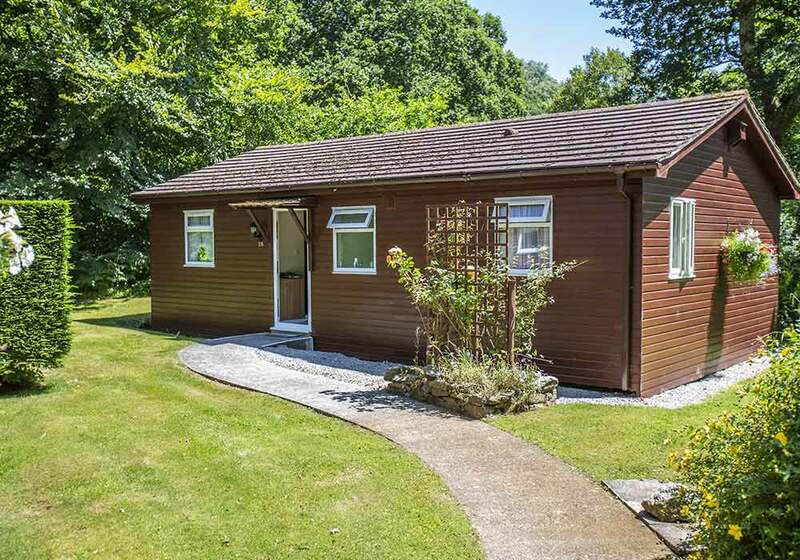 These lodges offer very spacious accommodation for 4 people but will sleep upto 6. Sleeping a maximum 6 persons with one double bedroom and en-suite, one bedroom with 2 single beds and a further double bedroom. Large lounge/dining area open plan fitted kitchen and a bathroom. 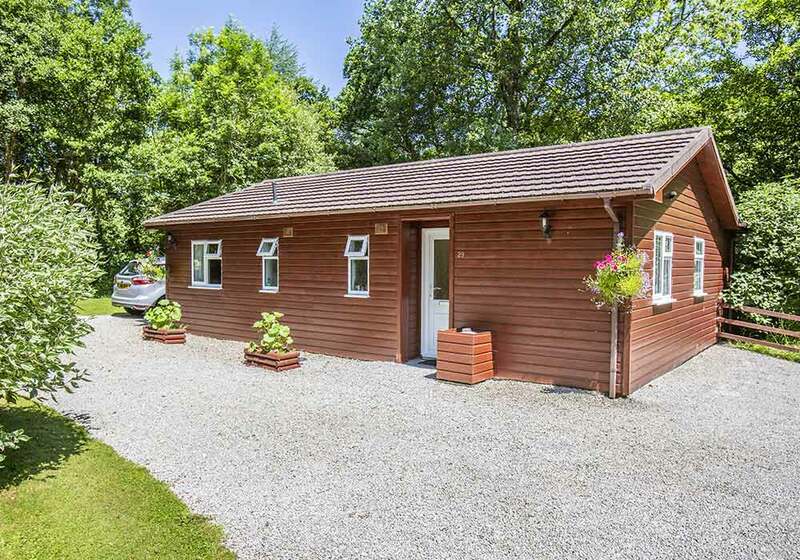 These lodges are situated on level ground with parking close by.